Happy New Year from all of us!! This is the last post for me at Crafty Card Gallery for 2013 and I just want to thank all of our followers for your support during 2013 and hope you come back in 2014 and see what else we have for you!! 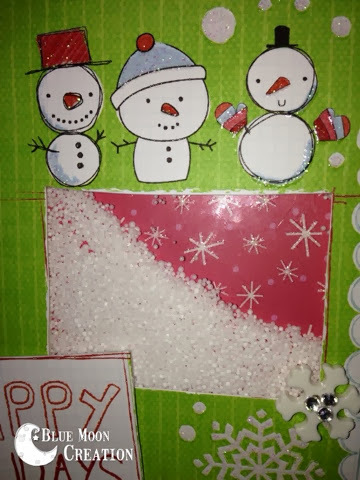 This month at Crafty Card Gallery we have been featuring snowflakes/snowmen and I hope my card does justice to this theme!! I’m using a new digi from Scrapbook Stamp Society that I found just adorable!! Isn’t he just adorable!! I hope you have liked all the cards that the DT has brought to you during December and throughout 2013. Most of the DT members will be back with new cards for you during 2014 and we hope that you keep following us. 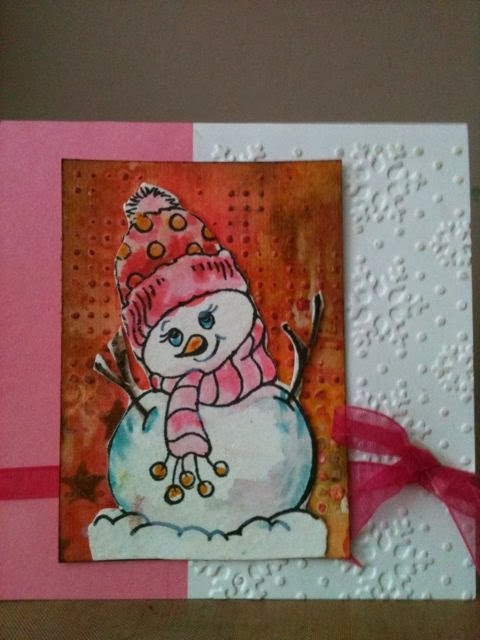 If you would like to see how I made this card please check out my blog Scrappinwith’Z. That’s it from me for 2013. Happy New Year to all of you!! Christmas was a huge success at our house…and I hope you can say the same! It’s time to jump back into the world of card making and post something that is long over due! It’s my turn to posting a card for our theme this month which is…. and it was way past time for it to get inky! I have always struggled with! I also used colored pencil to color my snowman. Hope you have a wonderful day and find sometime to be creative! Happy Holidays crafty pals! For those of you celebrating Christmas, I hope you had a wonderful Christmas time! 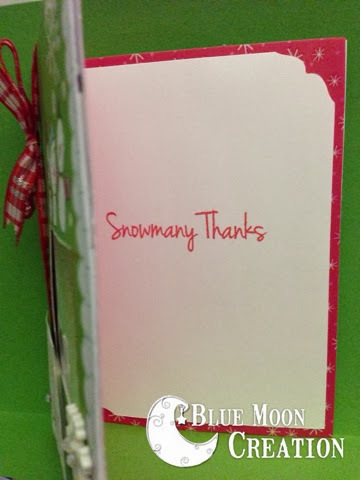 Thia here, from Blue Moon Creation with my post for this months theme Snowflakes/Snowpeople. I picked both. I absolutely love how easy it was to get this card together! It’s a shaker card too! I love using double sided foam adhesive by Scotch on my cards, and that it what I used to create this card I am sharing with you now. 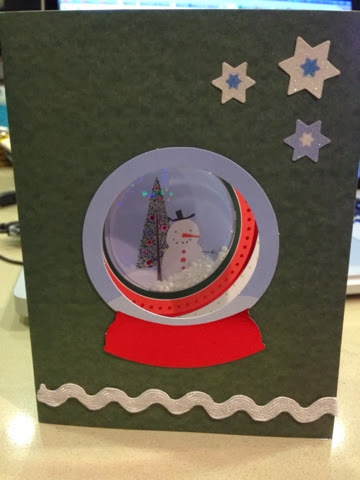 To create this card, I used my Recollections Festivus Paper Stack and cut out the sentiment to make a window for the snow. I placed the sentiment on using double sided foam adhesive. Added a snowflake button and some gems. Made the shaker added foam balls and adhered this to the decorative card base with double sided foam adhesive. Fun card, right?! Until next time, happy crafting! 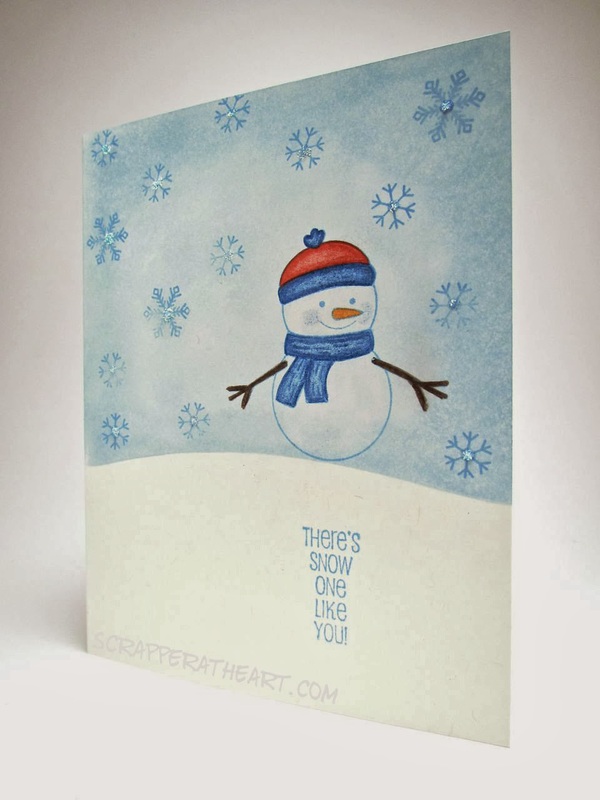 Today I’m a guest designer on the Crafty Card Gallery Blog, and I’m here to share a colorful mixed media, snowman/snowflakes card I made. It has been very cold outside, so I got inspired and here’s what I came up with…. Have you been working frantically on your Christmas cards? Do you have a really long Christmas card list? I think I need about 60 cards this year…. and I’m a few short… so I’ll be making some more cards this week (in addition to finishing up my Christmas shopping)… Oh well, what would I do if I wasn’t behind??? Well this year I did something different… Every year I mass produce my Christmas card – I make 60 of the same card…. This year I made a bunch of different cards. I got an SEI card kit that was too cute not to make – so then I bought some cute papers and then some other stuff.. so I have a bunch of different cards. I think it was more challenging to make them all but I don’t know that I will do it this way next year. 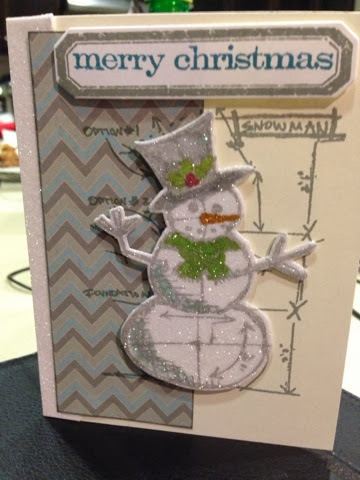 Hope you enjoyed my Snowman cards! Have a wonderful christmas & happy 2014!!! !